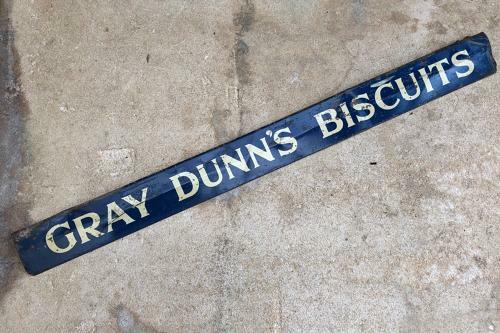 A 1920s Tin Shops Advertising Shelf Edge for GRAY DUNN'S BISCUITS. A not often seen sign. There is wear as expected, scratches etc to the front and the back is very rusty. It will still sit on a shelf as shown on the photographs.